If a negligent driver caused you to suffer injuries in a car accident, you will need to file a claim for compensation with his insurance company. In order to receive all the compensation you are entitled to, you should understand your rights under Texas law. This includes knowing the types of compensation you could receive in settlement of your claim. The negligent driver’s insurance company is responsible for paying for repairs to your vehicle or its value if it is too damaged to be repaired. You could also be entitled to car rental fees if you must rent a vehicle while yours is in the shop, as well as towing costs. If any property in your vehicle was damaged—such as a cell phone, laptop computer or other electronic devices—you would be entitled to compensations for these items as well. You are entitled to compensation for the pain, suffering and emotional trauma that you experienced from the accident and your injuries. If your injuries were severe or life-altering, you could have suffered significant anxiety, depression and other emotional trauma. These damages can be harder to put a monetarily value on and to document. 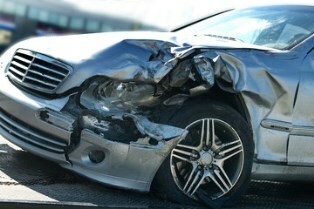 You will need the assistance of an experienced car accident attorney if you hope to receive what you deserve. Punitive damages are only awarded in rare cases. They are to punish the negligent party for gross negligence or a willful act or omission, not to compensate you as the victim. Punitive damages are capped in Texas as the greater of $200,000 or the amount of economic plus non-economic damages awarded up to $750,000. If you suffered injuries in a car accident or a loved one died, our experienced and compassionate car accident attorneys are here to explain your legal rights for compensation. Call our office today to schedule your Complimentary Strategy Session to learn more. We've representative individuals from Bedford, Arlington, and Euless Texas. We are confident we can give you the guidance you need as well.